ADA, Mich., October 19, 2017 /3BL Media/ – The Malnutrition Mapping Project, a joint effort by Amway and the Global Alliance for Improved Nutrition (GAIN), is now featured in a Business Partnership Case Study by the Harvard Kennedy School. 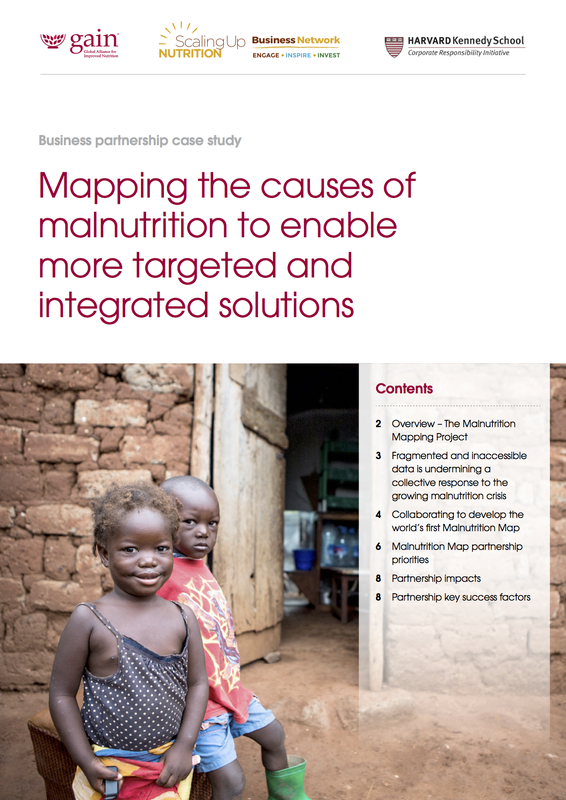 Providing a detailed explanation of why partnerships like this one between Amway and GAIN are so important, the case study also highlights the benefits of the data generated by the Malnutrition Mapping Project. Together, Amway and GAIN developed an interactive map that shows the multiple burdens of malnutrition including impacts on undernutrition and overweight/obesity in nearly every country around the world. The map unites over 50 indicators drawn from a range of national and international statistics describing the risk factors and consequences of malnutrition which can help lead to the development of more effective solutions. Amway and GAIN partnered through the Scaling Up Nutrition (SUN) Business Network, which includes 350 business partners and operates in 29 countries. The Global Alliance for Improved Nutrition (GAIN) was launched at the UN in 2002 to tackle the human suffering caused by malnutrition. GAIN is a global, Swiss-based foundation that mobilizes public-private partnerships and provides financial and technical support to programs that improve access to nutrition by over 800 million vulnerable people. GAIN also supports improved maternal and infant health by promoting breastfeeding and specialized products for infants over six months and young children. In addition, they partner with local businesses to improve the quality of food along agricultural value chains.